But Mr. Prodi said the funds he had been paid by Mr. Gusenbauer did not come, to his knowledge, from Mr. Manafort. In a statement to the BBC, Mr. Gusenbauer, who led Austria from January 2007 to December 2008, denied any involvement in Mr. Manafort’s work in Ukraine but acknowledged that he had met him twice and talked to European and American politicians about Ukraine, as Mr. Prodi had also done. In Europe, only Austria and Germany refer to their head of government as chancellor. 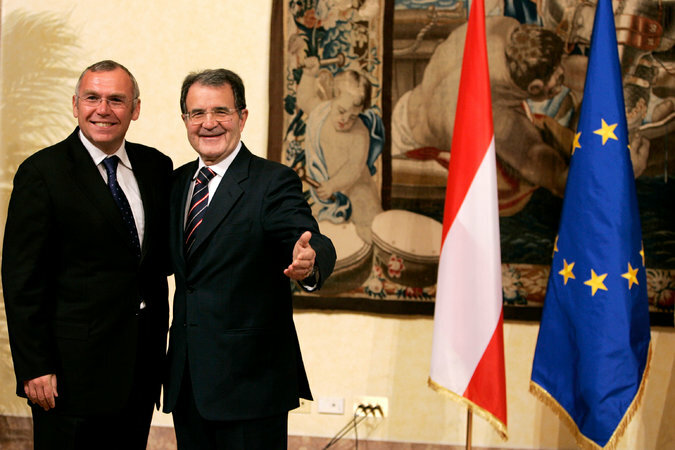 Alfred Gusenbauer, then the chancellor of Austria, left, and Romano Prodi, then the prime minister of Italy, in Rome, in 2007. In an interview on Saturday with the Austrian Press Agency, Mr. Gusenbauer said that he had been “remunerated” for his work on behalf of Ukraine, but he did not say by whom. He added that he had never worked for Mr. Yanukovych and that he had only met Mr. Manafort two or three times. Mr. Gusenbauer met several members of Congress in June 2013 on behalf of Ukraine, according to a federal filing last year by Mercury Public Affairs, a political strategy group that Mr. Manafort had hired. A second Washington lobbying firm hired by Mr. Manafort, the Podesta Group, also said last year that it had “arranged meetings and media opportunities” for visiting European leaders regarding Ukraine, starting in 2012, including for Mr. Gusenbauer, Mr. Prodi and two former presidents, Aleksander Kwasniewski of Poland and Viktor A. Yushchenko of Ukraine. In 2012 and 2013, Mr. Yanukovych was trying to negotiate an “association agreement” with the European Union, which was made difficult by his jailing of political opponents, like Yulia V. Tymoshenko, Valery Ivashchenko and Yuri V. Lutsenko in 2011 and 2012. European officials were keen to secure the agreement, and tried to get Mr. Yanukovych to release the detainees, arguing that their captivity was damaging his reputation and making closer ties to Brussels hard to swallow. 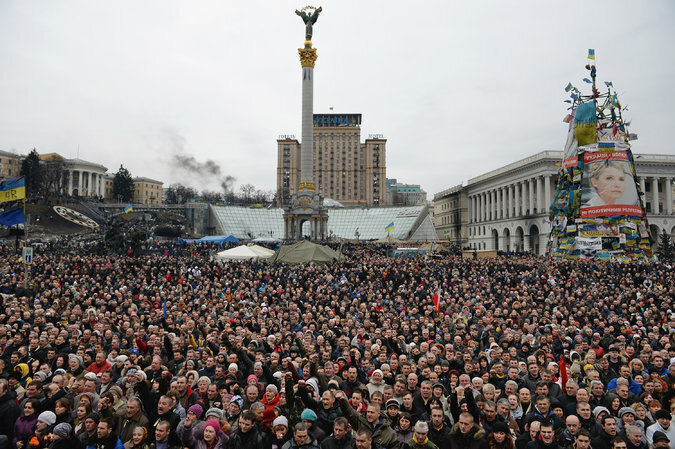 Anti-government demonstrators in Independence Square in Kiev, Ukraine, in 2014. Mr. Prodi said that Mr. Gusenbauer was the “coordinator” of a group of like-minded liberal and center-left politicians on the issue, including Mr. Kwasniewski and two presidents of the European Parliament, Pat Cox of Ireland and Martin Schulz of Germany. The release of some of the detainees did help Ukraine’s relationship with Brussels, but then Mr. Yanukovych rejected the association agreement, in favor of a free-trade relationship with Russia. That, in turn, started the demonstrations that led to Mr. Yanukovych’s downfall, the Russian seizure of Crimea and the current conflict in eastern Ukraine.